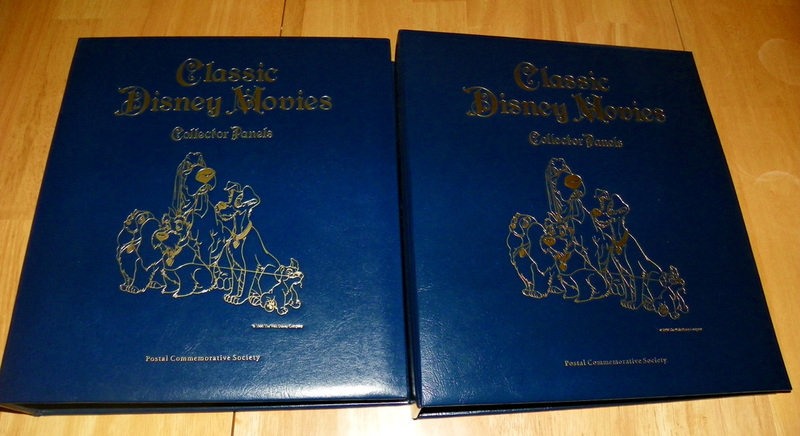 Entire Set Classic Disney Movies Collector Panels produced in late 1980' and early 90's by the Postal Commemorative Society. 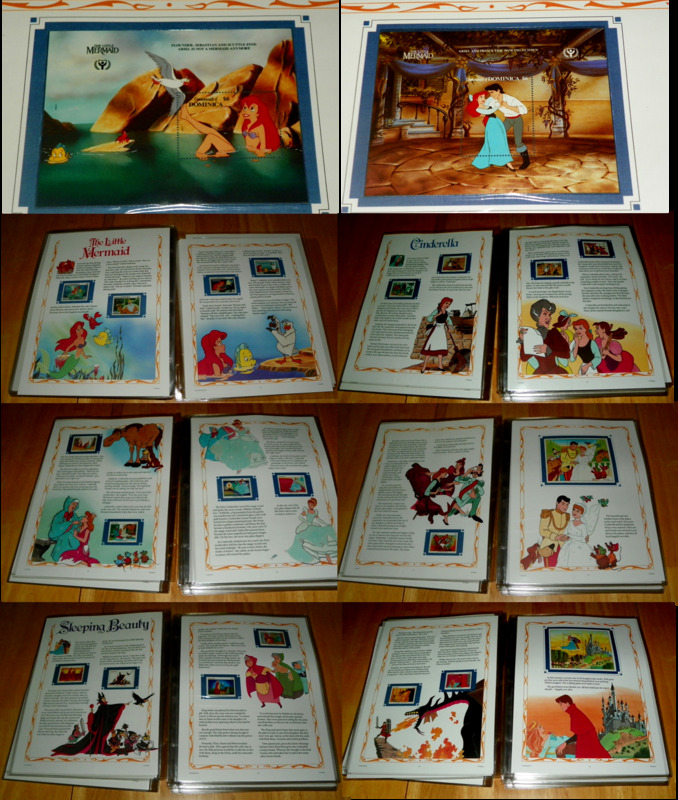 Each Disney Movie has 6 story book panels with approximately 10 unused mint stamps. There are 26 movies with 6 panels each makes it 156 panels. Each movie panel set includes at least one large stamp. There are approx. 260 stamps. This collection took more than two years to obtain all of the panels. These come in two large binders of approx 12 X 14. These weigh approx. 20 lbs total. Shipping is included in the price, and will be shipped USPS Economy Shipping. We will remove the panels from the binders to avoid separation. The plastic inserts hold two panels each and are the original provided with the binders. The stamps are in the same condition as I received them when new and is as described, panels have some ripples in the plastic on some, buyer's remorse does not apply to this item for return. Make sure you want this set before you buy it.